Thank you Coyote Gold Margaritas for joining My Funky Valentine!! Drinks drinks and more drinks! Thanks to Coyote Gold for pouring their delicious margaritas at My Funky Valentine! come early and leave happy!! 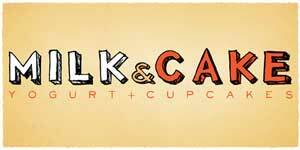 Denver’s best cupcakes from Milk and Cake at My Funky Valentine!! Denver’s best dessert cupcakes made from scratch by Milk and Cake. will be at My Funky Valentine! These cupcakes are to die for and i for one can’t wait for dessert already! Make sure you save room and don’t forget your sweet tooth!! 9 Pan Catering onboard with My Funky Valentine!! Crock Spot – one of Denver’s best food trucks!! We are so happy to announce that Crock Spot will be joining us at My Funky Valentine!! Crock Spot has been voted one of Denver’s best food trucks courtesy of 5280 magazine. Crock spot specializes in slow cooked gourmet cuisine!! They even offer vegan and vegetarian dishes! Yolo Rum will be at MY funky Valentine pouring their signature cocktails on Valentines Day!! We couldn’t be happier having this addition to the event. Don’t be afraid to wet that whistle!! Mile High Spirits pouring at My Funky Valentine!! Denver’s own Mile High Spirits will be pouring an array of cocktails for your enjoyment at My Funky Valentine!! Do yourself a favor and swing on thru their establishment before the event and get to know these guys!! CraftHouse Cocktails showcasing at My Funky Valentine!! We couldn’t be more excited to have CraftHouse Cocktails at My Funky Valentine showcasing their premium cocktails. Moscow Mules, Palomas and Southside for your enjoyment come Valentines Day!! 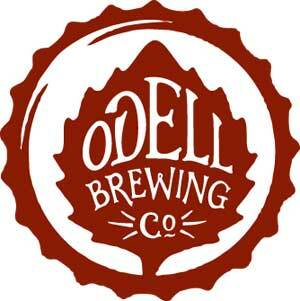 Odell Brewing company at My Funky Valentine!!! One of Colorado’s finest breweries Odell Brewing Comapany will be gracing us with their presence for the 1st annual My Funky Valentine! They will be pouring their Run Off Red IPA and Lugene Chocolate Milk Stout. These beers are only around for a limited time so make sure you grab one today!! Großen Bart Brewery will be joining us at My Funky Valentine!! One of Longmont’s best up and coming breweries Großen Bart will be joining us to help benefit the Denver Dream Lab. We couldn’t be more excited to be featuring this great brewery at My Funky Valentine!! Crooked Stave Artisan Beer Project will be pouring multiple beers at My Funky Valentine! !